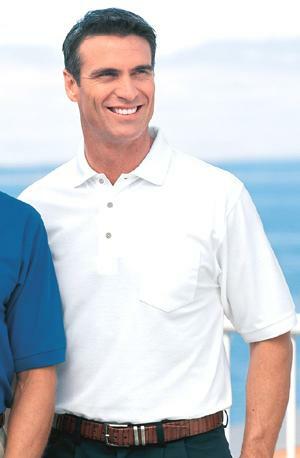 Pre-shrunk 100% cotton pique, 6.2-oz., Wider, longer Relaxed Fit for optimum comfort, Side seamed, Taped neck seams, Clean-finished placket with wood-tone buttons, Half-moon patch, Side vents. 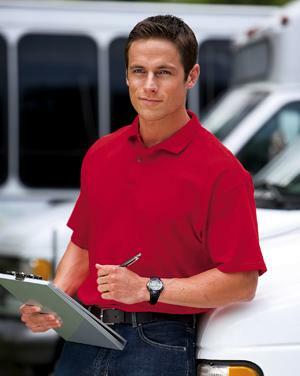 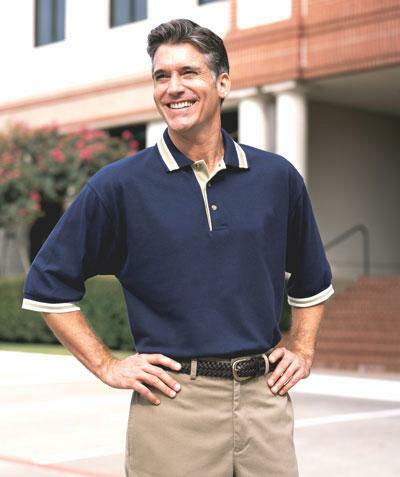 100% premium cotton, 6.5-oz., Wider, longer Relaxed Fit for optimum comfort, Side seamed, Reinforced X-placket, Twill-tape side vents, Split tail, Double-needle hem. 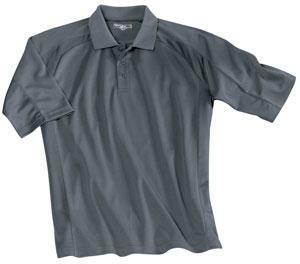 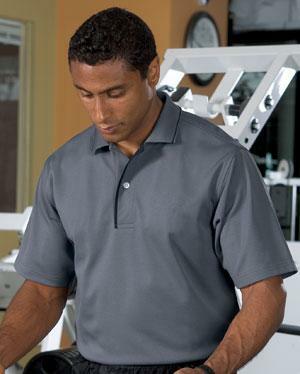 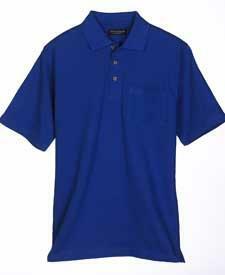 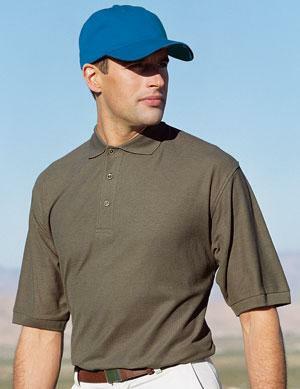 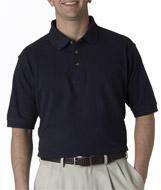 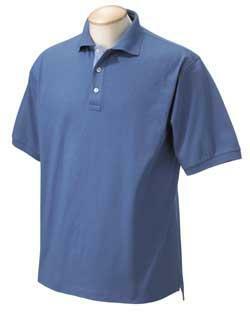 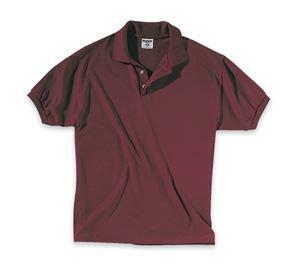 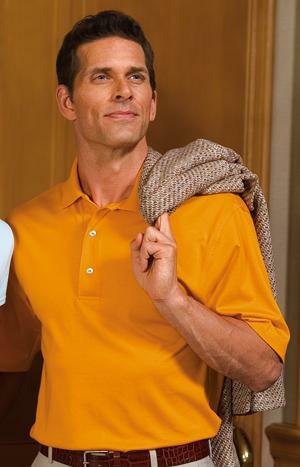 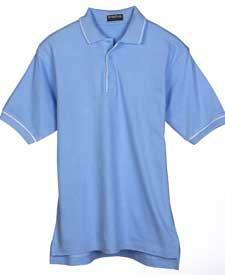 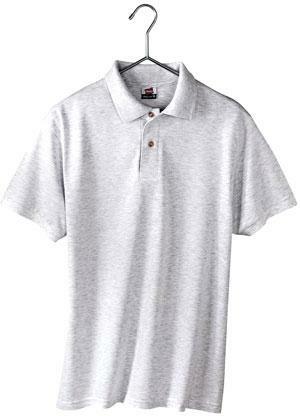 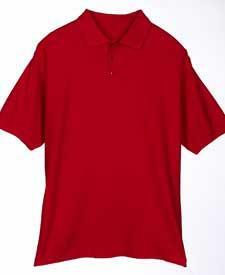 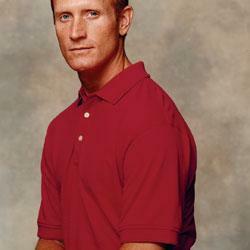 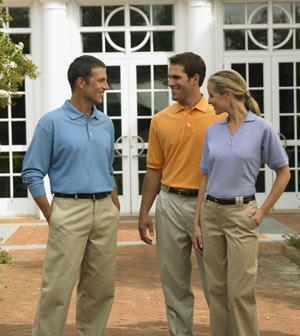 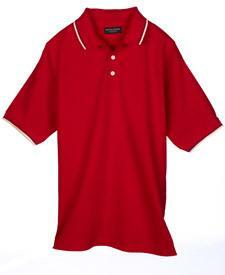 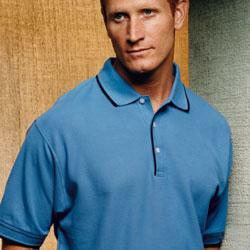 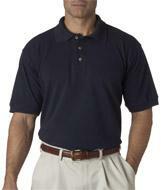 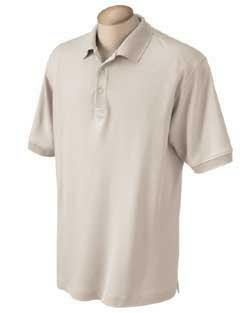 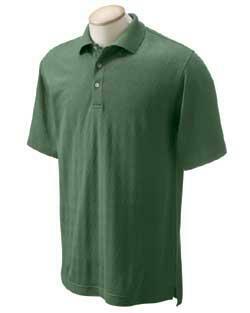 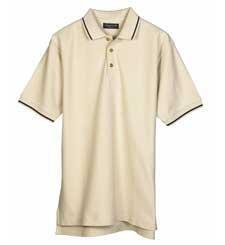 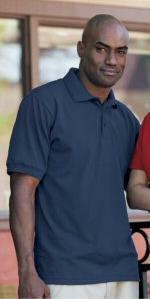 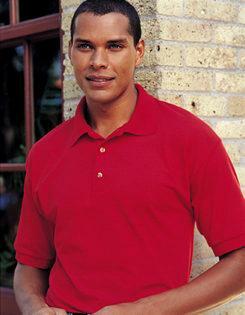 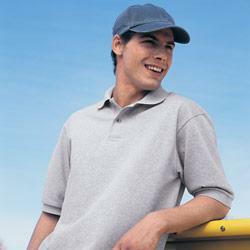 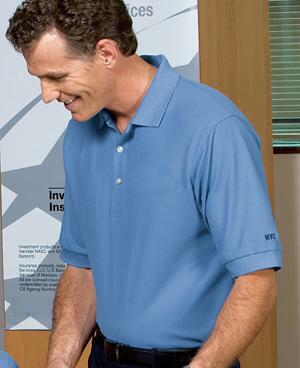 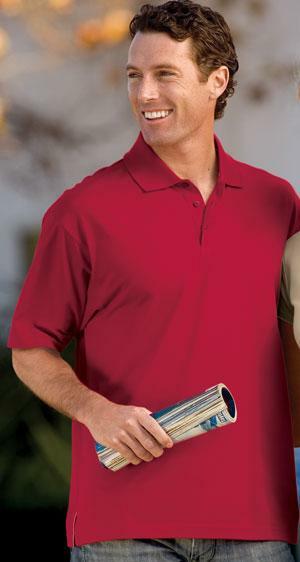 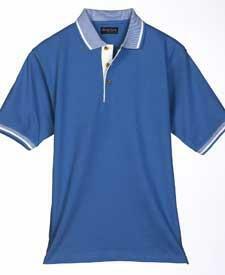 7-ounce, 100% ring spun combed cotton, garment washed; 3-button placket, locker patch, side vents, double-needle stitching. 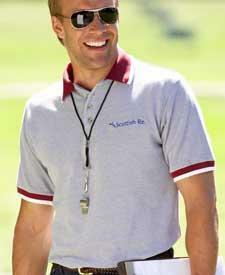 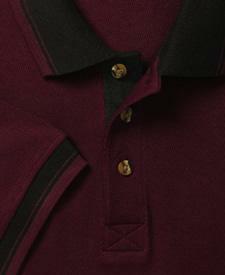 Tipping stripes on the collar and placket plus pewter tone buttons lend a distinguished feel to this classic favorite. 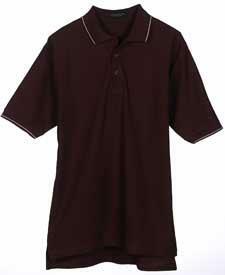 Features welt collar and cuffs. 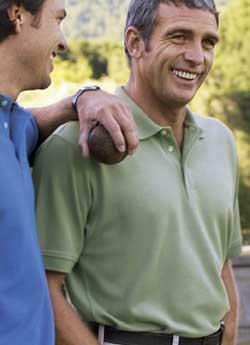 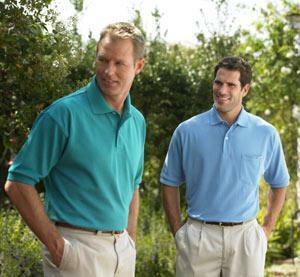 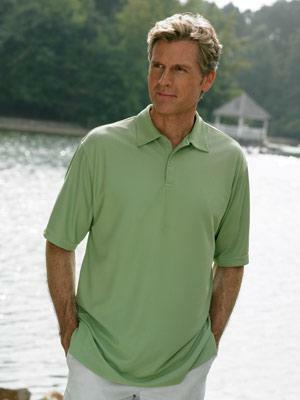 100% 5.3-ounce Pima Cotton; 40-doubles fine knit. 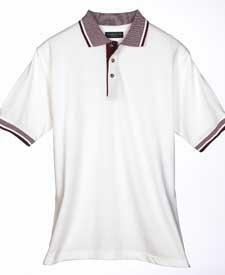 Double-needle armholes and hem; real smoked pearl buttons. 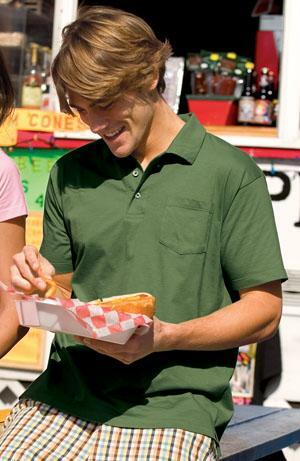 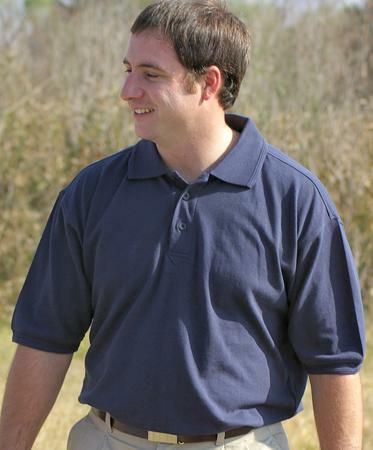 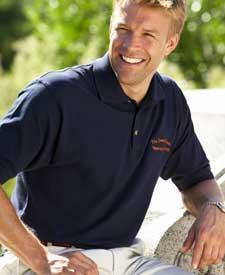 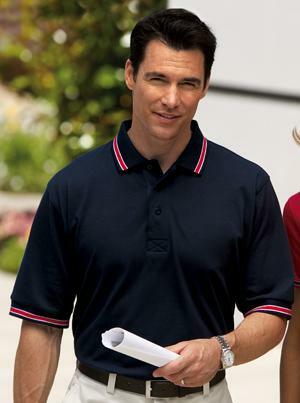 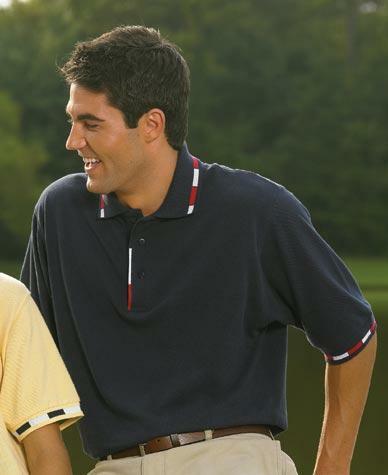 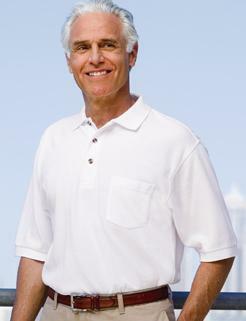 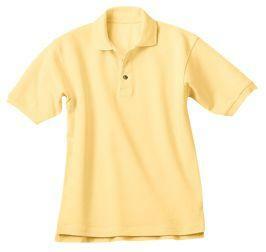 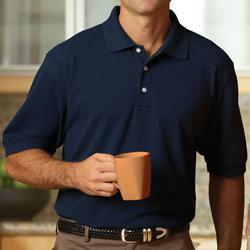 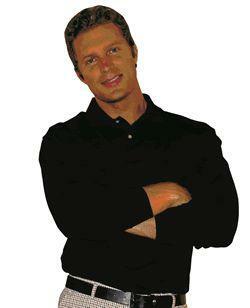 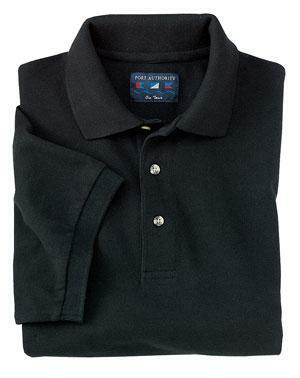 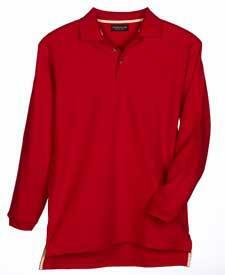 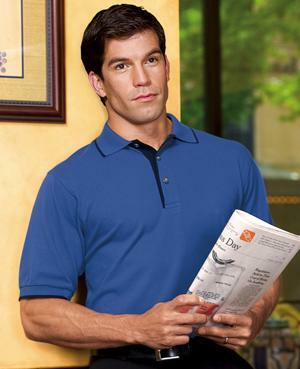 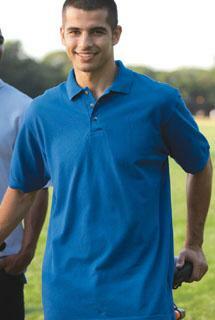 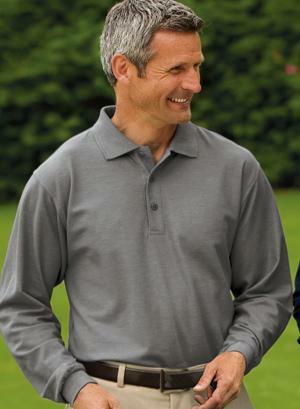 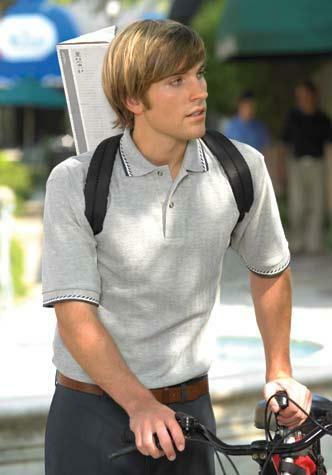 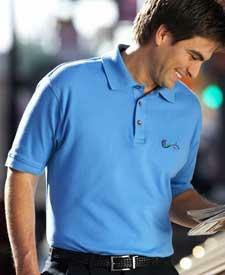 Features 3-button placket and flat knit collar, relaxed fit. 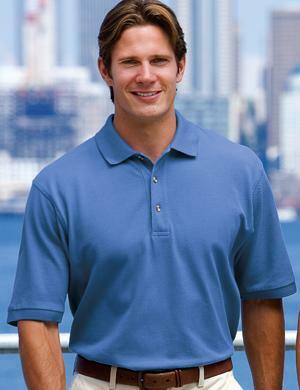 Wrinkle-resistant 75% cotton/25% polyester, 6.6-oz., Wider, longer Relaxed Fit for optimum comfort, Side seamed, Side vents, Extended tail. 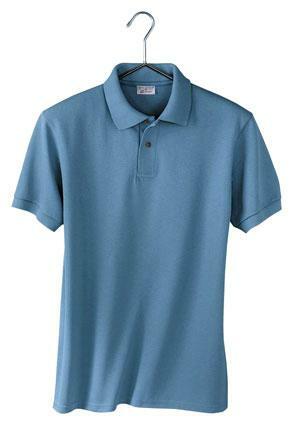 6.2-ounce, 100% Pima cotton honeycomb pique; double-needle stitching throughout, flat knit collar and cuffs, locker patch, side vents. 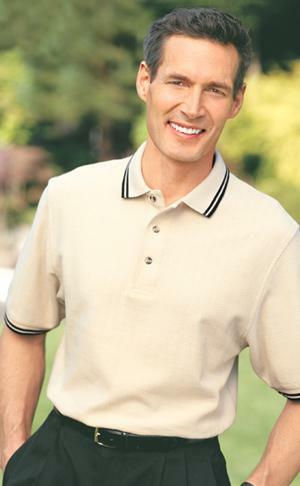 Traditional 3-button placket with mother of pearl buttons.